It all began as a lark. Mark Zuckerberg posted pictures of his fellow Harvard students online to let viewers comment on who was hot and who was not. Eight years later, Facebook is one of the hottest companies in the world. On 1 February the social network announced plans for an initial public offering (IPO) that could value it at between US$75bn and $100bn. This is extraordinary. Investors believe that a start-up run by a cocky 27-year-old is more valuable than Boeing, the world’s largest aircraftmaker. Are they nuts? Not necessarily. Facebook could soon boast 1bn users, or one in seven of the world’s population. Last year it generated $3,7bn in revenue and $1bn in net profits. That is nowhere near enough to justify its price tag. But there are reasons to bet Facebook will justify the hype, for it has found a new way to harness a prehistoric instinct. People love to socialise, and Facebook makes it easier. The shy become more outgoing online. The young, the mobile and the busy find that Facebook is an efficient way of staying in touch. You can do it via laptop or smartphone, while lying in bed, waiting for a bus or pretending to work. You can look up old friends, make new ones, share photos, arrange parties and tell each other what you thought of the latest George Clooney film. As more people join Facebook, its appeal grows. Those who sign up (and it’s free) have access to a wider circle. Those who don’t can feel excluded. This powerful feedback loop has already made Facebook the biggest social-networking site in many countries. It accounts for one in seven minutes spent online worldwide. Its growth may be slowing in some rich countries — unsurprisingly, given how enormous it already is. And it is in effect blocked in China. But it is still growing fast in big emerging markets such as Brazil and India. A $100bn price tag would hardly be cheap, but other tech giants are worth more: Google’s market capitalisation is $190bn, Microsoft’s $250bn and Apple’s $425bn. And the commercial possibilities are immense, for three reasons. First, Facebook knows a staggering amount about its users. It is also constantly devising ways to find out more, such as Timeline, a new profile page that encourages people to create an online archive of their lives. The company mines users’ data to work out what they like and then hits their eyeballs with spookily well-targeted ads. Last year it overtook Yahoo to become the leading seller of online display ads in America. Second, Facebook is the most powerful platform for social marketing. Few sales pitches are as persuasive as a recommendation from a friend, so the billions of interactions on Facebook now influence everything from the music that people buy to the politicians they vote for. Companies, like teenagers, are discovering that if they are not on Facebook, they are left out. Social commerce (or “s-commerce”) is still in its infancy, but a study by Booz & Company reckons that $5bn worth of goods were sold in this way last year. Finally, Facebook is becoming the world’s de facto online passport. Since so many people have a Facebook account under their real name, other companies are starting to use a Facebook login as a means of identifying people online. It has even created its own online currency, the Facebook Credit. That is the case for Facebullishness. But there are also two sets of reasons to worry. The first is the managerial challenge of jumping from start-up to giant. 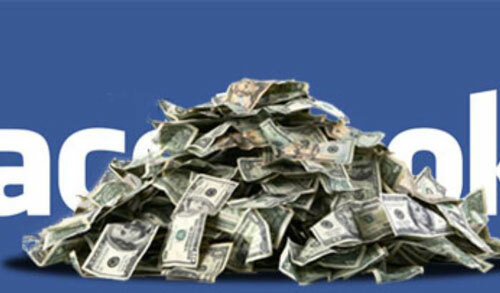 Facebook has only 3 200 employees, many of whom will now become paper millionaires. The prospect of having to motivate VIP employees — Silicon Valley shorthand for workers “vesting in peace” — may explain why Zuckerberg delayed a flotation so long. With the billions of dollars that the IPO will bring in, the firm will add more people and services. It has already rolled out an e-mail service and persuaded millions of other websites to add buttons and links that enable Facebook users to share material. It is bound to add an online search function that will heat up its battle with Google, which is including information from its Google+ social network in its own search results. Google has made the jump from popularity to profitability. For all its talk of new revenue streams, Facebook is still dangerously dependent on display ads. And there is a tension between attracting users and squeezing money out of them. Facebook’s greatest asset is the information that its users willingly surrender to it. Turning such data into cash, however, will inevitably raise privacy concerns. Most users don’t realise how much Facebook knows about them. If they start to feel that it is abusing their trust, they will clam up and log out. Further down the line there is antitrust. Technology is fiendishly hard for competition tsars. On the one hand, it creates competitors quicker than any other industry (remember AltaVista, or Myspace?). On the other, network effects help to create monopolies. No other social network is nearly as big as Facebook, and it will soon be rich enough to buy up potential rivals. Many firms feel they have no choice but to deal with it, and some already resent its clout.